RAPAPORT... The US saw a 4% decline in polished-diamond imports in November, according to data from the US Census Bureau. The average price fell 9%, outweighing a 5% increase in volume. Trade figures were still positive for the January-to-November period, with a 7% jump in total import value, reflecting a similar rise in the price per carat. 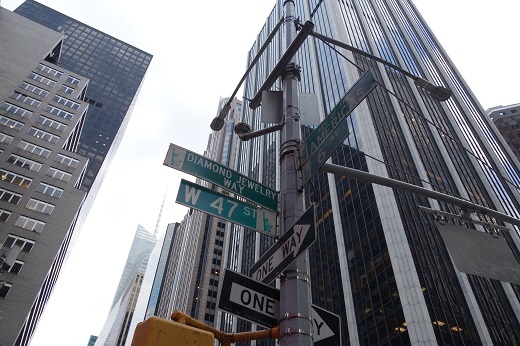 About the data: The US, the world’s largest diamond retail market, is a net importer of polished. 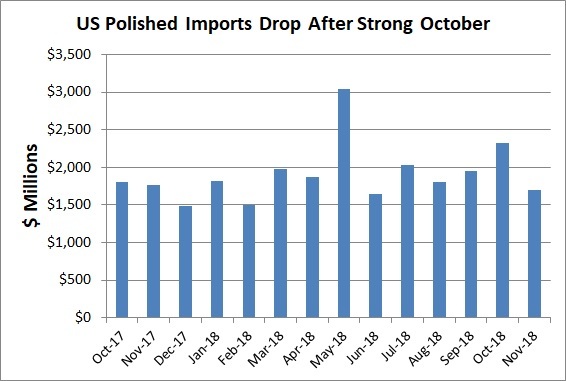 As such, net polished imports — representing polished imports minus polished exports — will usually be a positive number. Net rough imports — calculated as rough imports minus rough exports — will also generally be in surplus. The nation has no operational diamond mines but has a manufacturing sector, so normally ships more rough in than out. The net diamond account is total rough and polished imports minus total exports. It is the US’s diamond trade balance, and shows the added value the nation creates by importing — and ultimately consuming — diamonds.